This tank is so cute and perfect for those holiday barbecues or lake day! I’m counting down for you and me you patriotic pretty doll! Such sweet outfit. Would love to have this top to watch the 4th of July parade!!! I am off from blogging next week, link will still up on Wednesday but I’m gonna wear red, white and blue all week baby!!! Have a Most fabulous 4th you awesome angel!! I’ve been looking forward to your 4th blog posts!! As you know we both love the fourth–how cute is this look! You look adorable!! I love this patriotic look!! This top is everything! The perfect top for 4th of July. Hope you enjoy the holidays! 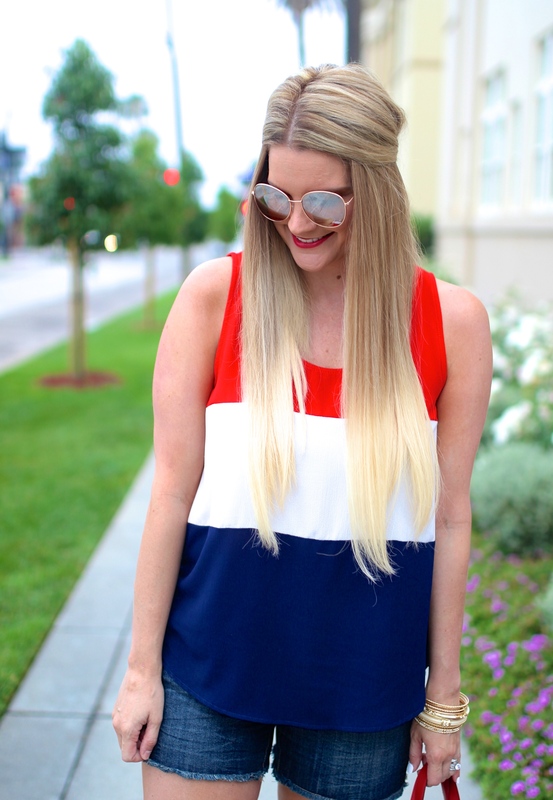 Perfect patriotic look! You are totally ready for the 4th! Beautiful casual look! Love the matching tote, too cute! Agreed, definitely red, white and cute! I’m loving all of your outfits lately! Cute indeed and I am really loving the colors on you. Love this post! You are totally ready for the 4th. Great outfit girl! Patriotic perfection!! Love this top, your look gorgeous. Have such an awesome weekend and Fourth!! 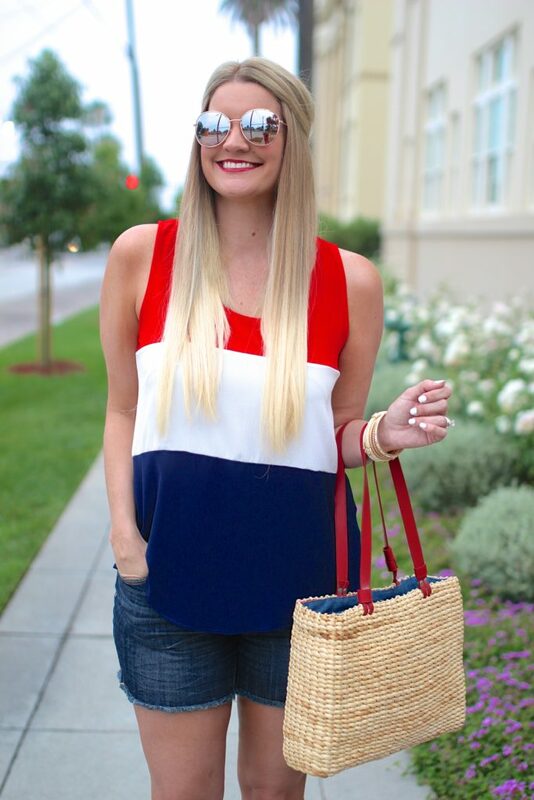 Loving this effortless patriotic look! Loving your bag with this outfit! You are so adorable. Perfect outfit for the holiday. Happy 4th babe. 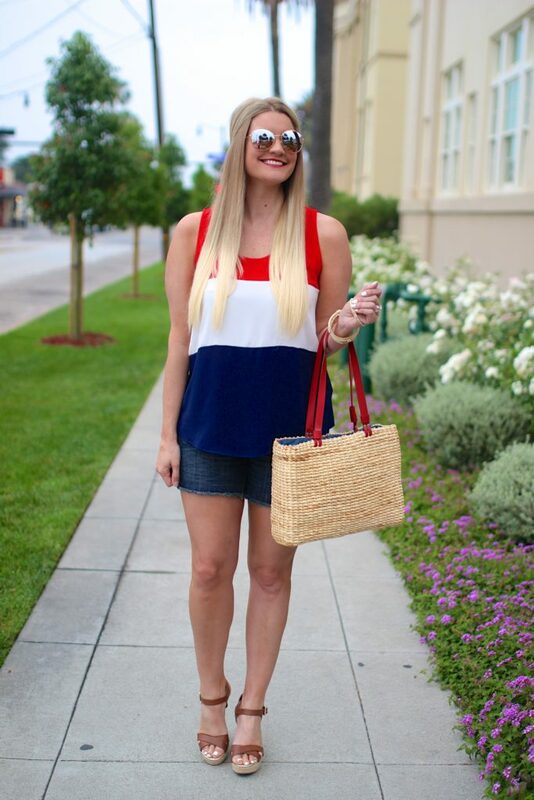 Love this patriotic tank top. Super cute. Patriotic and stylish, girl. Love! That tank top reads 4th of July and I love it. I also love red+white+blue with a pop of cognac, especially if the shoe is cognac. Well done Shauna! Adorable top! The 4th attire was made for you. Hope you celebrated big!